Thanks, hivemind! Non-mystery solved, Boot Cuffs it is! 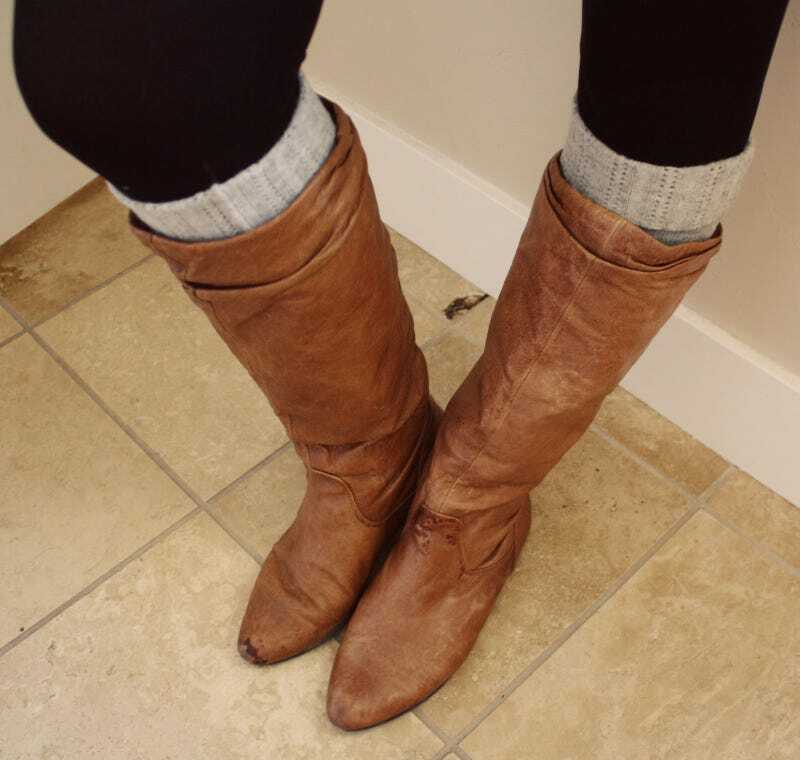 What in the heck should I be googling to find those sort of really short leg warmer things that are actually not much more than a band of fabric (usually sweater knit) that's meant to peek out of your riding boots? So it's more like a cuff (wait, did I google boot cuff? not sure) so that you're not actually wearing long socks or leg warmers, or anything that's going to be totally bulky. I has no crafting skills, nor sweaters I feel like demolishing. Am I dreaming that these even exist? ETA: HIVEMIND, you are the best. Apparently I did NOT google boot cuff! ETAM(ore): Hmmmm, I bet UncleKim has some old sweaters.. or the 'Ye'lets.